Welcome to Heaven's Hollow, located in the beautiful northeastern Colorado plains. 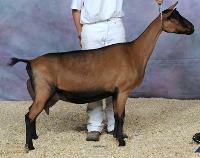 We maintain a small Oberhasli dairy goat herd, with an emphasis on milk, show, and quality rather than quantity. Thank you for your interest in our dairy goat herd. 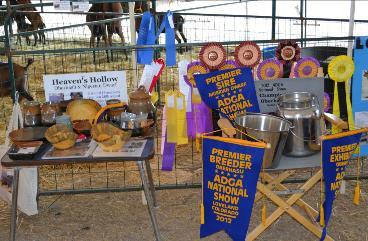 Heaven’s Hollow Farm is located in northeastern Colorado. 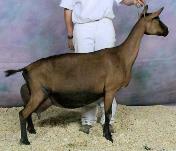 We have been raising dairy goats since 1984, when we purchased our first Nubian does because my daughter Nicole was allergic to baby formula. 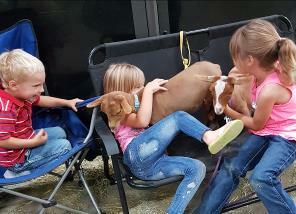 It didn’t take us long to fall in love with their personalities, and soon Nicole was showing them in 4H. In 1990, we moved to our current location and were forced to sell our lovely does. It took us several years to build all the necessary facilities, but before we knew it we were back into the goat business. In 1997, Jill decided to take goats as a 4H project. 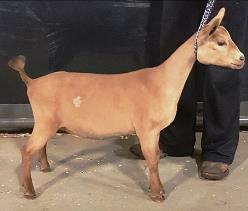 This time, we purchased several LaMancha does and after a couple years attended our first ADGA sanctioned show. 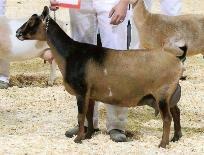 It was at this show that we saw our first Oberhasli goats and instantly fell in love. 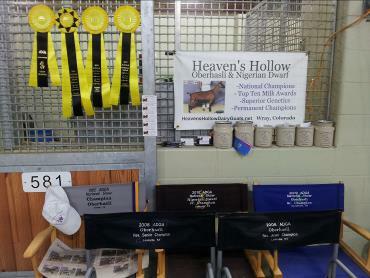 It didn't take long for Obers to take over the entire barn! 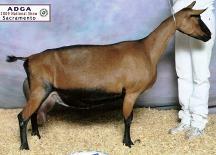 We have found the Oberhasli breed to be more docile than the other dairy goat breeds. We love their dispositions, gentleness, and personalities. 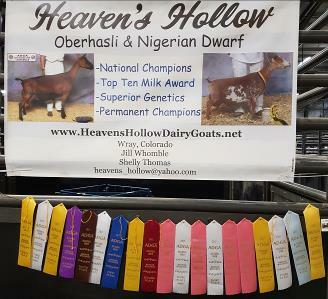 Our herd now consists of mostly Oberhasli and a few Nigerian Dwarf dairy goats. We have been on a strict CAE prevention program since the start of our herd. We annually test every goat on our place. 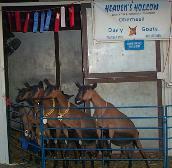 Our first goats came from herds that had tested negative year after year. In addition, all births are attended. We keep as closed of a herd as possible. We do not allow other herds on our property, and no new animals are ever allowed on our premise unaccompanied by a negative CAE test and health papers. New additions to our herd are also quarantined to ensure the animal is in good health. We are very particular when we go to shows about where we pen our animals and who comes into contact with them. Kids are raised on heat treated colostrum and pasteurized milk by bottle and lambar. We annually test all of our animals for CAE to show that we maintain a disease free herd. Or herd is also free of Scrape, TB, CL, Johnes, Bruc, and abscess. We have some Jersey cows on our property who are also tested (always neg) for TB and Johnes. Our herd is current on their vaccinations (CD&T), wormed regularly, and hooves are always kept trimmed. 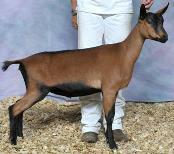 We supplement our goats with copper and BoSe triannually. All of our goats are always disbudded approximately a week after birth; we have no goats with horns on our farm as we feel they would only endanger themselves and others. We have our herd linear appraised every other year, and our herd has been on standard milk tests (DHIA) for the past few years. 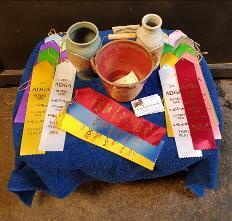 We try to attend at least five ADGA sanctioned shows a year. We also attended the ADGA Nationals, as long as it is within a couple days driving distance. 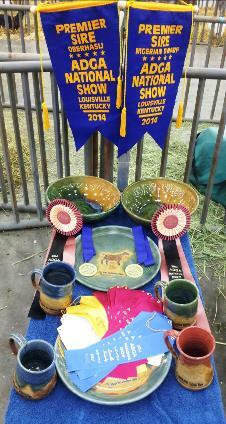 These last few years have been amazing for our herd. Our linear appraisal scores are better than we ever imagined. We currently have two LA scores of 92, two of 91, two of 90, one 89, and two of 88. 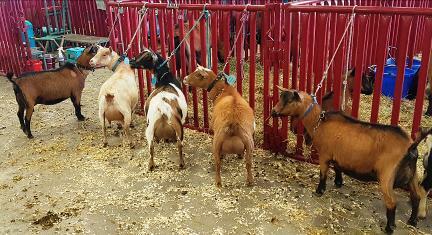 All but three of our Oberhalsi milkers have received their SG (Superior Genetics) designation, and all but two of our Ober milkers are CH does (permanent champions). 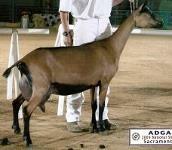 Shotsi won the Highest 305 milk award at the National show in 2008, and then won the total performer award in 2010. 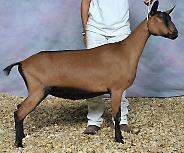 Jezabell also made the 2007, 2008, and 2009 USDA Elite doe List. Shotsi and Jezabell both were awarded the highest Swiss Bell award, the Golden Bucket award, in 2009. Throughout the years, we have had several of our does on the top ten milk list for milk, butterfat, and protein production including Lil Lady, Shotsi, Jezabell, and Zoretta. 2010 Nationals– pet me, pet me! Unable to attend Nationals, but our buck still did well!